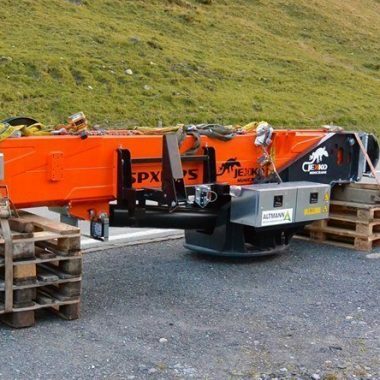 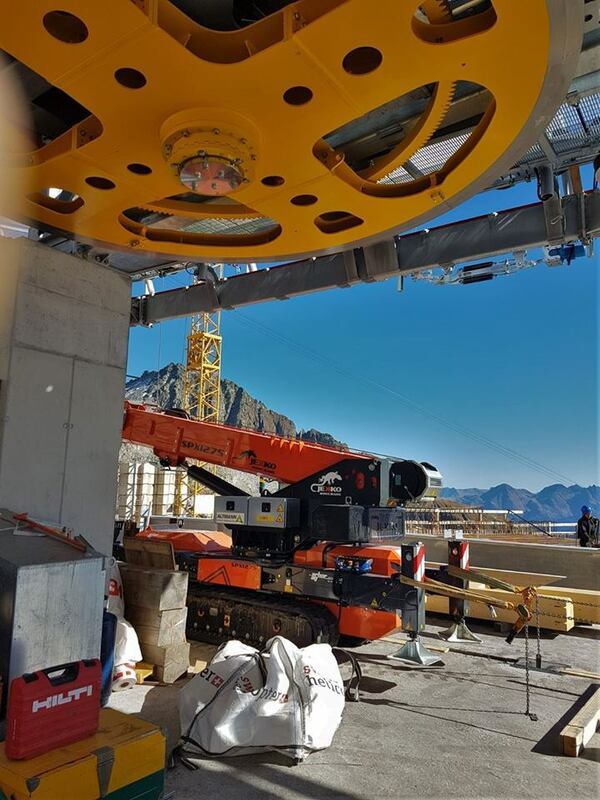 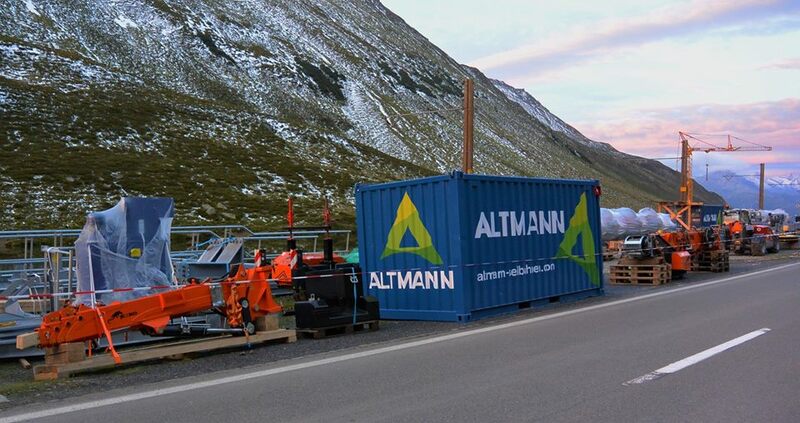 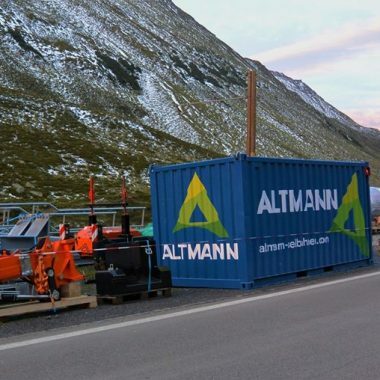 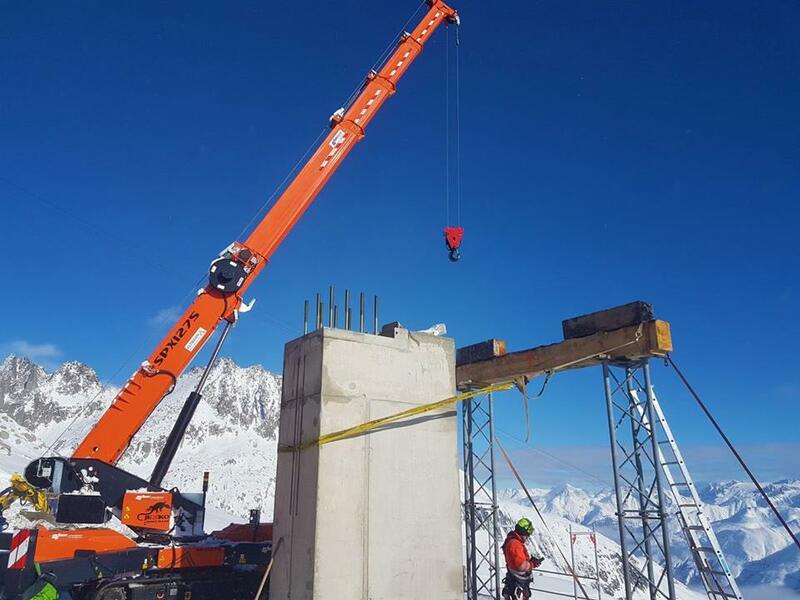 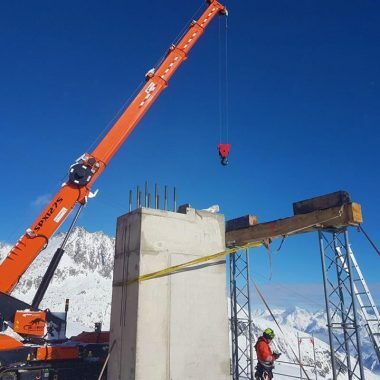 A SPX1275 used in high-altitude mountains for maintenance on lift systems. 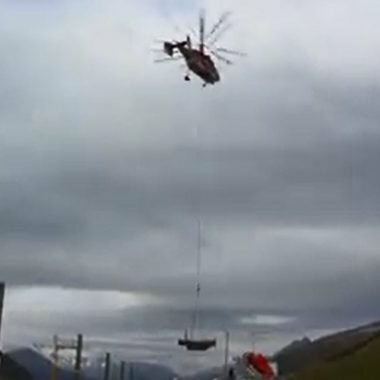 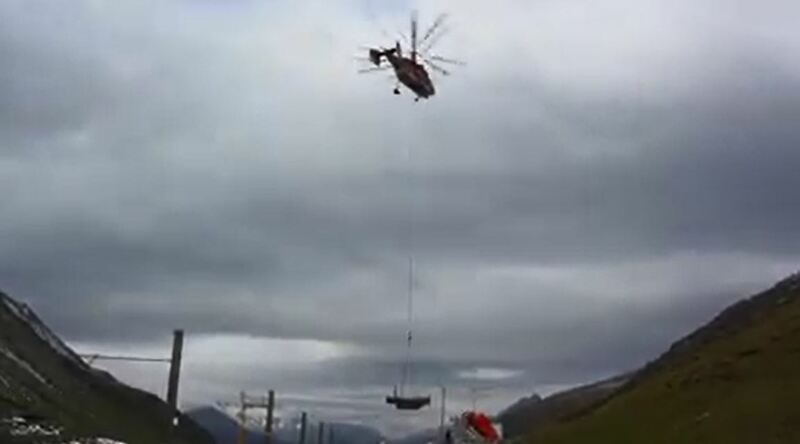 Once the work was completed, the crane was dismantled and transported down the valley by a helicopter. 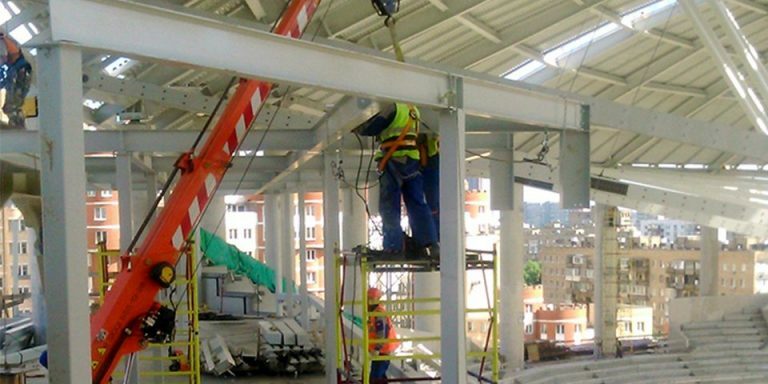 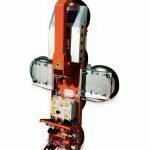 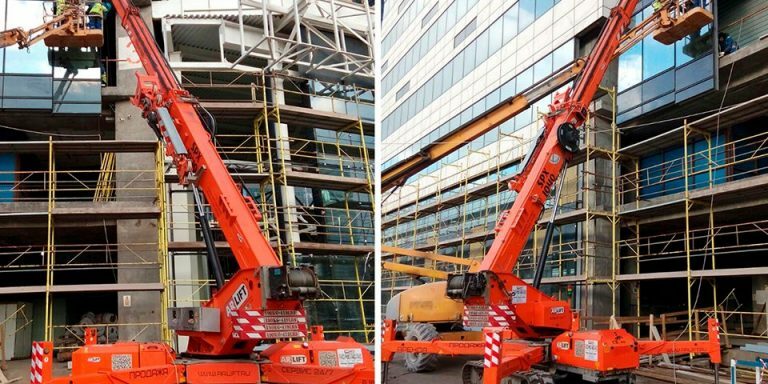 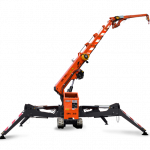 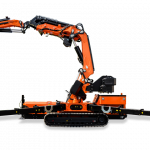 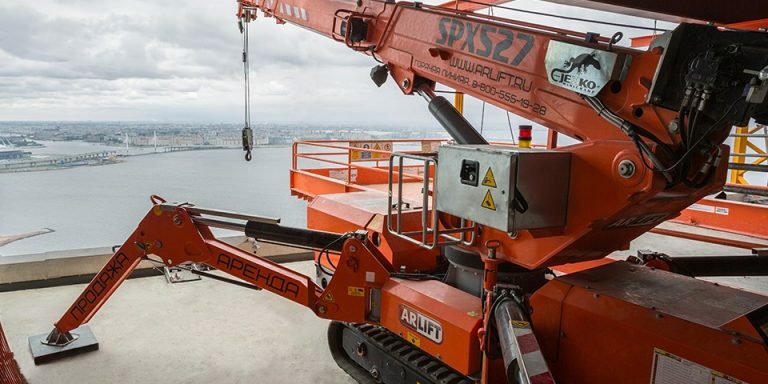 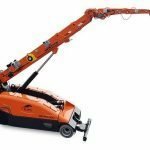 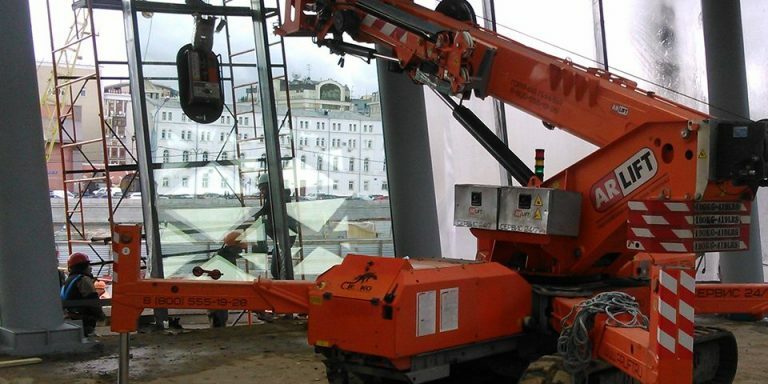 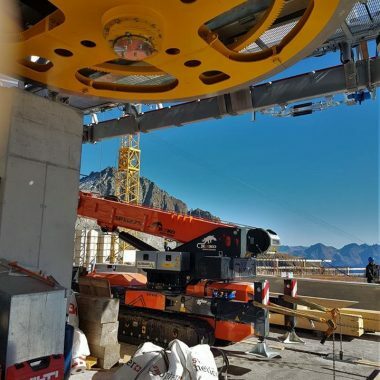 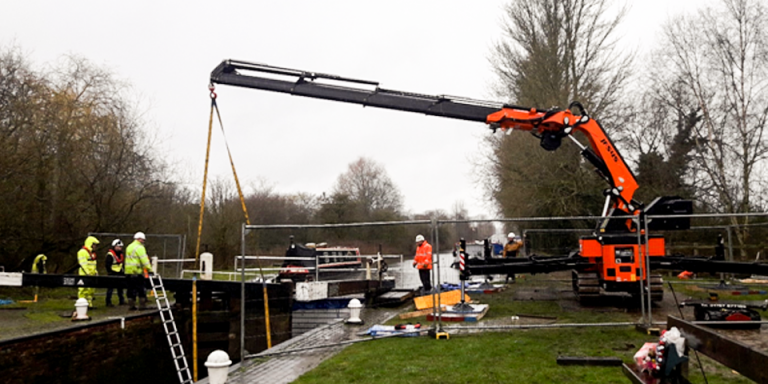 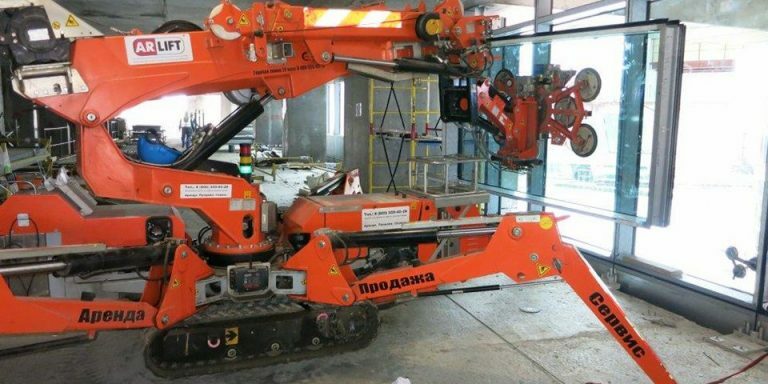 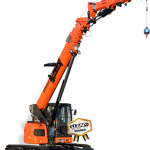 The SPX1275 is a high-performance Jekko mini-crane with unique features, and despite this, it has a reduced stabilisation area and is particularly easy to dismantle and transport using any means.